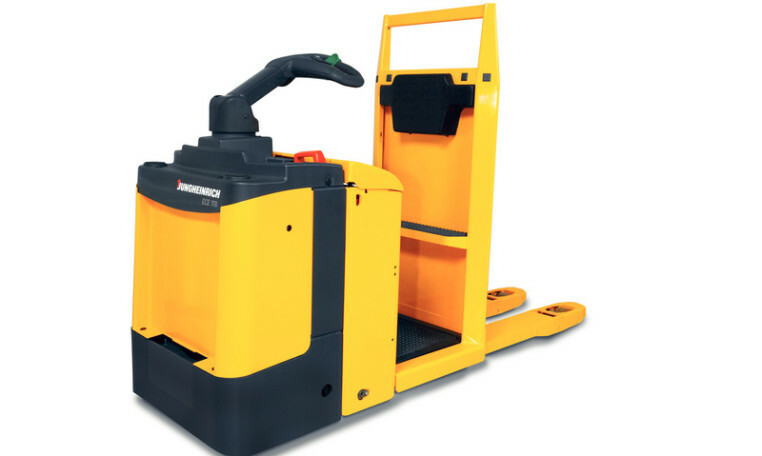 The Jungheinrich ECE 118 is ideal for efficient order picking on uneven floors. 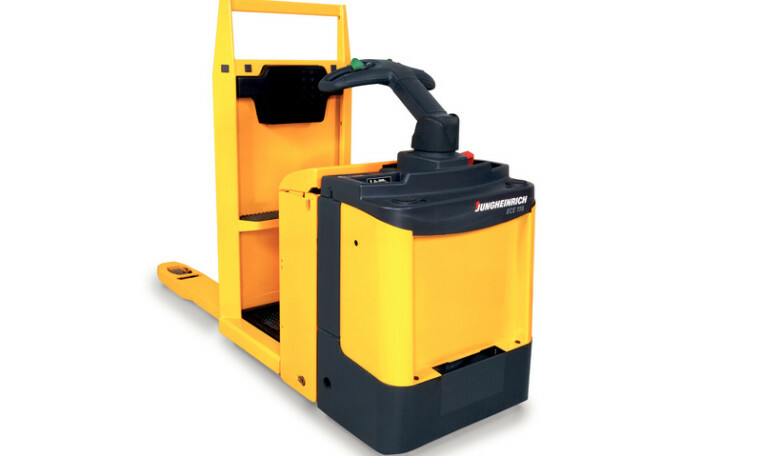 The initial lift enables the ergonomic stand-on platform and the battery to lift simultaneously. This increases ground clearance over warehouse thresholds and uneven floors. The initial lift also makes it easier to drive into an HGV. The Jungheinrich ECE 118 is equipped with a top mounted mechanical tiller as standard. All operating controls are within easy reach. Powerful acceleration and high speed. No rolling back on gradients. ProTracLink: Sprung and cushioned support wheels – linked via a coupling rocker – ensure safe handling in all driving conditions. ShockProtect: Spring drive suspension provides protection for the operator, truck and load. Optimally adjusted to the load, the suspension cushions the operator and frame against impact. CanDis provides information on the battery charge status, the hour-meter and the service code storage (optional). CanCode facilitates activation of the truck via PIN, with authorised operators individually specified (optional). The individual setting of the drive parameters (optional) allows for optimum adjustment to individual requirements. Writing board incl. paper clip. Storage compartment located in the backrest. Step for 2nd level in the backrest.